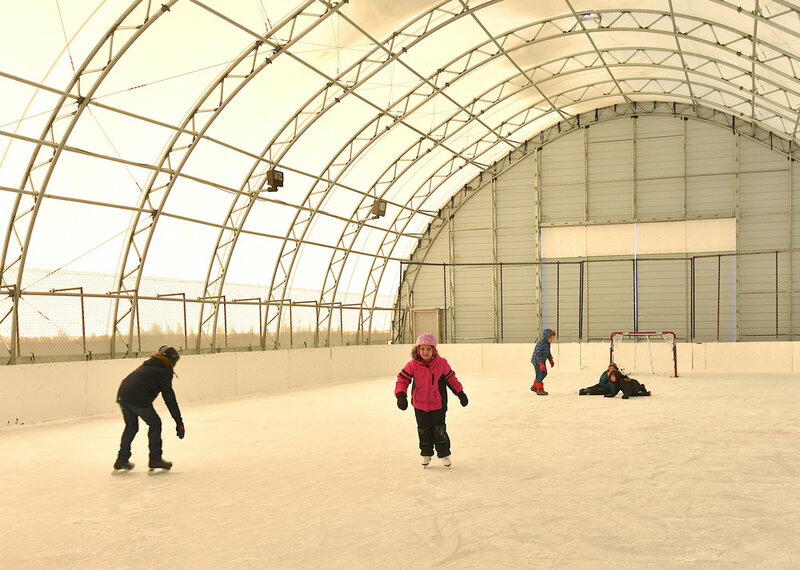 The covered skating rink and changing rooms are available every day for free skating and hockey practice during the winter season. Ice is subject to the whims of nature, so warm weather may hinder the use of skates. Our ice is made and cared for by awesome volunteers. If you would like to get involved, please attend our regular monthly meeting. Use these facilities at your own risk. Helmet use is highly recommended. No smoking in either facility! If you intend to pass around the puck, respect other users and keep everyone safe! Please remember to clean up after each use. Large groups should contact the skating director to make arrangements for use. Contact Alanna & Kevin Naumann for more info: 780-234-9153.